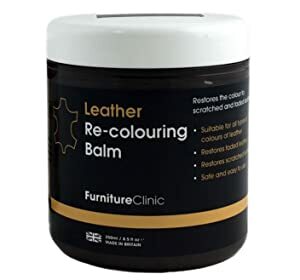 RENEWS & RESTORES COLOR TO LEATHER: Furniture Clinic’s leather recoloring balm is ideal for restoring color to faded and scratched leather. It’s easy to apply and gets spectacular results when applied correctly. In fact, if you’re not happy with the results or find it too difficult to get the results you wanted, we’ll refund your money, no questions asked. 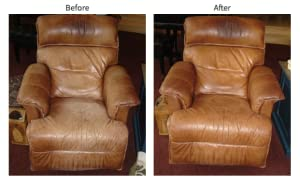 HAPPINESS GUARANTEED: We understand that restoring leather can be a daunting task, but don’t be afraid. Our experts are here if you have questions before purchasing and if after purchasing you’re not satisfied with the results (we expect you will be), we offer a money back guarantee. We know our product works wonderfully when used correctly. USE ON COUCHES, CARS & CLOTHING: The leather recoloring balm is a versatile product that can be used on all kinds of leather pieces. From scratched car seats to faded purses, the balm has many use cases. 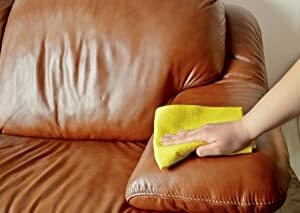 Our customers use the product to restore color to their faded sofas, to fix small cat scratches, to liven up their antique car seats and to cover minor peeling on their leather jackets! 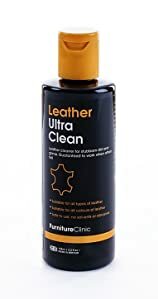 Get 40% off our Leather Ultra Clean with your purchase of this leather balm. Simply add both to the cart for your discount. These photos were sent into us from a customer in the United States. He has used one application of balm on the chair and as you can see, it has totally transformed it! The balm has re-instated the color into the drastically faded 'white' areas of the armchair making it look almost new again! The color used was Tan. The head area has absorbed grease; this could have been removed first using the Leather Degreaser.